Syllabus of the Online Course (Subject): Foreign Trade and Business in California - Los Angeles (United States). 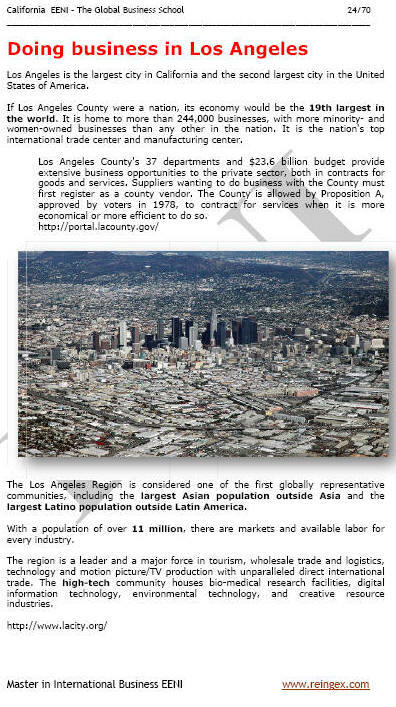 If Los Angeles County were a nation, would be the 19th biggest in the World. California is the leading high-tech state in the U.S..